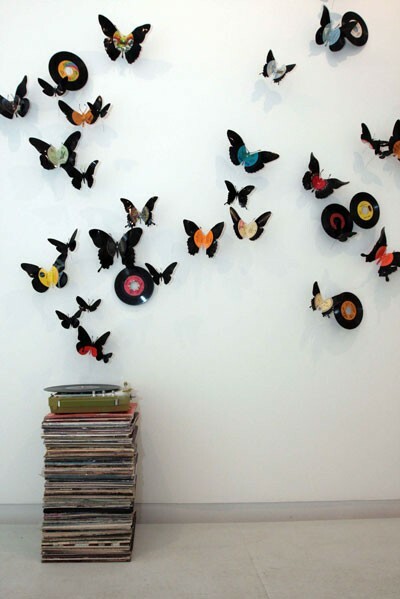 Maybe buy a bunch of old records from the thrift store and make some of these. Would also make a lovely baby mobile if you were into music. I love how the stickers in the center look like they're part of the design of a butterfly. Here is a tutorial on how to cut vinyl. I recommend sanding edges when done. Via Paul Villinski. I love those butterflies ! !